After years of mounting pressure against corporate control of water and demand for accountability, Pepsi has agreed to provide consumers with more information about the source of the water used for their bottled water brand 'Aquafina.' In direct response to a national day of action earlier this month, Pepsi agreed to spell out "Public Water Source" on the Aquafina label. As part of the 'Think Outside the Bottle' campaign, thousands of people have been urging Pepsi to make changes in the Aquafina label, which includes an image of snow-capped mountains and states "pure water, perfect taste." Though the image implies that the source of Aquafina is mountain spring water, it actually uses tap water as its source. In fact, up to 40% of bottled water uses tap water as its source. "Pepsi's response to the Think Outside the Bottle campaign is an important first step," says Gigi Kellett, Think Outside the Bottle Campaign Director. "Concerns about the bottled water industry, and increasing corporate control of water, are growing across the country. 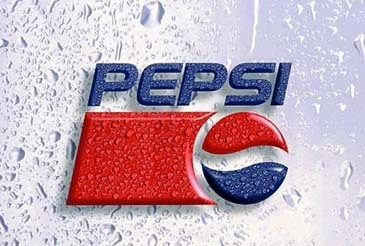 It is significant that Pepsi is taking some action, especially since Aquafina is the leading bottled water brand in the US." Pepsi's decision to change the Aquafina label comes in the midst of growing national attention to the bottled water industry. Last month San Francisco Mayor Gavin Newsom banned city spending on bottled water and the US Conference of Mayors adopted a resolution highlighting the importance of public water systems and the negative impact of bottled water. According to San Francisco city-government officials, the ban is part of an effort to combat global warming and save taxpayer money. The mayor cited the enormous environmental impact of making, transporting and disposing of the bottles as the reason behind the ban on bottled water. Other public agencies and the private sector in the United States, as well as in other countries where potable drinking water can be drawn from the tap, should learn from his example. Most people in the world won't have access to enough water within 20 years, according to the United Nations, and the EPA (Environment Protection Agency) projects 36 states in the U.S. will experience water shortages even sooner. People in the U.S. spent $11 billion on bottled water last year, and Pepsi's Aquafina generated $1.3 billion in revenues in 2005.